Penland-based wood sculptor and craftsman Tom Shields creatively redesigns chairs to represent the relationships among people. 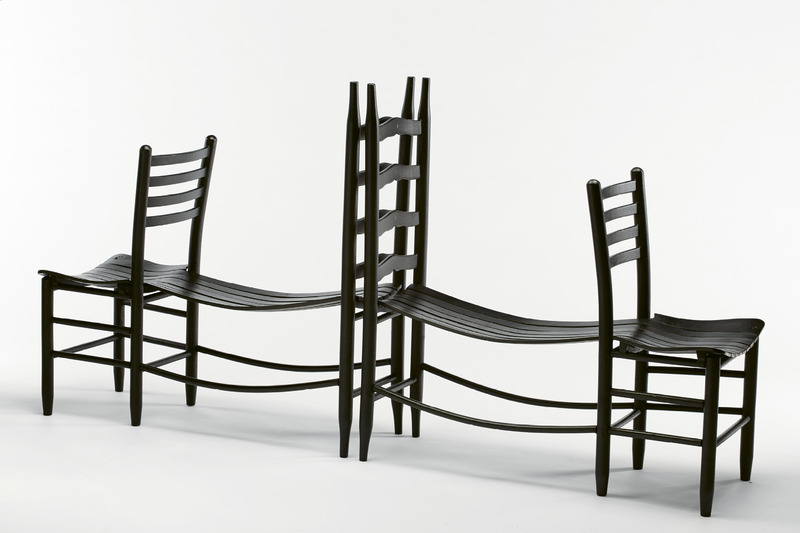 With over 20 years of experience in woodworking and a master of fine arts from the University of Massachusetts Dartmouth, Shields reconstructs chairs—back-to-back, on top of one another, or with parts mixed together—to create large, metaphorical sculptures. The former Penland School of Crafts resident artist showcases his works in museums and private collections across the country. Shields was the first artist ever to be awarded a residency at both Century Furniture in Hickory in 2015 and Kohler Company in Wisconsin a year later, where he made Bridges, his first piece using cast iron. Find more of his work and info about upcoming shows at www.tomshieldsart.com.